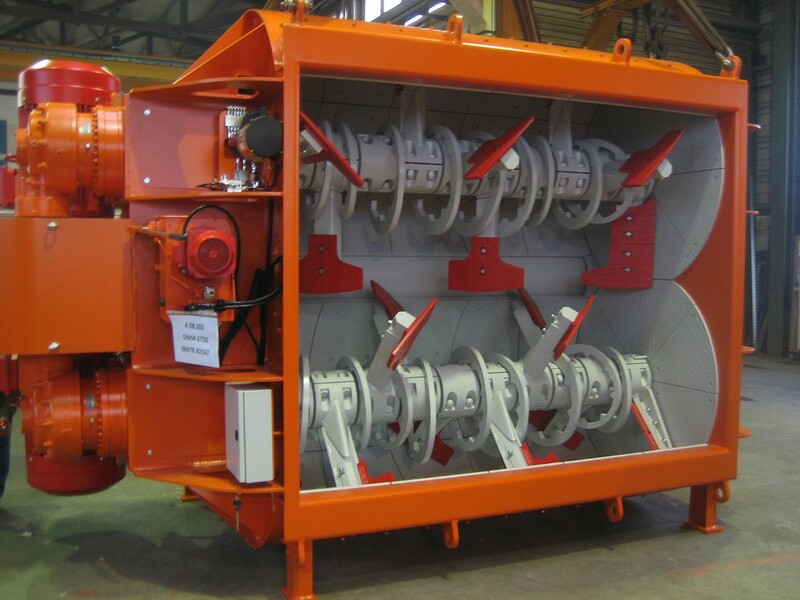 The powerful twin-shaft mixing action with twin counter-rotating shafts achieves maximum output capacity, minimum wear, shortest discharge time, and allows processing of aggregates up to 150 mm. 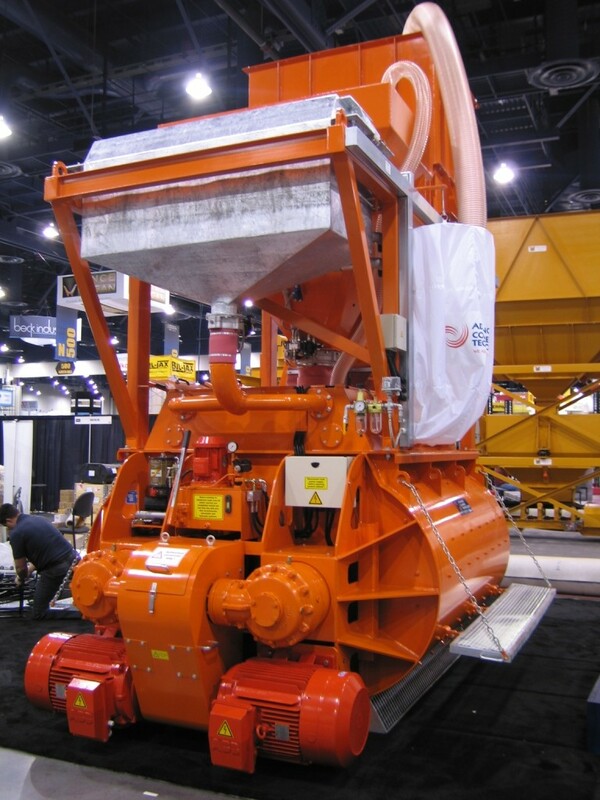 DWM mixers are particularly suited for the Ready-Mix and the precast industry where large volumes of high-quality concrete are demanded. 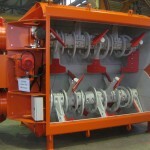 The twin mixing shafts are supported on each end of the mixer by heavy-duty roller bearings and are fitted with highly wear-resistant arms and shovels made of cast steel. 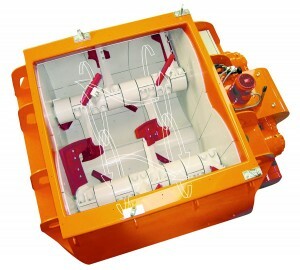 The oversized discharge gate can be opened to any required degree and discharge rate via adjustable proximity switches. The discharge gate is actuated by two reliable hydraulic cylinders that are mounted externally to avoid exposure to concrete. 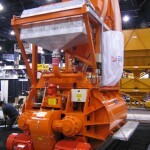 The mixing shafts are driven by two heavy-duty motors, V-belts and gear reductions. An elastic coupling synchronizes mixing shaft rotation. Mixer shaft bearings are purposefully isolated from the shaft seals. The bearings are always protected in the event of an unlikely shaft seal failure. Automatic central lubrication system has two circuits for optimum lubrication of the shaft seals and bearings. Large grease reservoir is fitted with a low-level indicator.